All The Tools You Need to Run Your Mobile At 100%. Mobile problems, tools to solve them. PCWorld, a leading review site for laptops, tablets, iPads, desktop PCs, printers. Lifehack, a source for tips to help improve all aspects of our life. TopTenREVIEWS, the best place to read insightful productbusiness services and software reviews. Our customers love dr.fone You will, too. Great Program! Great Customer Service! This program has done everything I needed it to do and more. When my computer crashed less than a month after I bought the program, Wondershare's Support page guided me through re-registering the product. Couldn't be happier. I have the broken Android data recovery software for a while now and have used it on various office phones. You cannot believe how many phones get smashed every other week. This really helps with getting clients details and important documents from their devices. 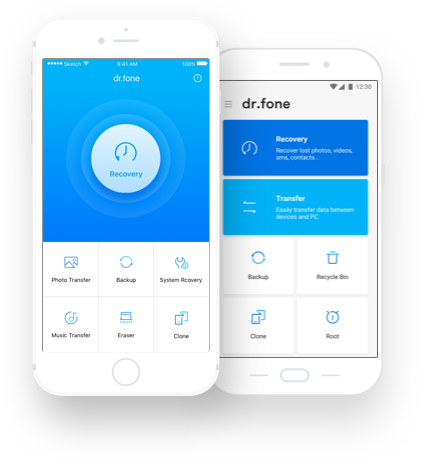 dr.fone has an incredibly simple UI with marvelously explained step-by-step instructions, so nothing can possibly go wrong. This is the best Data Recovery Software I've come across. Find all solutions helping you recover lost data from computers, hard drives, memory cards, iPhone, iPad , Android phones and tablets. Check it below for what you need.